These pages usually focus on the consumer and retail sector, its constituents, its problems and the opportunities therein. The consumer and retail sector is all about choice, and it is worth noting that we’ve just concluded what was possibly the most massive consumer event in the world. I’m referring, of course, to the Indian elections, where more than 500 “consumers” were bombarded with above-the-line and below-the-line marketing by various organisations pushing their brand, product (candidate) and services (ideology and manifesto). The sum total of analyses of India’s 2014 election results already exceeds what one sane person can read in a lifetime. The BJP and its allies have won a majority of seats unprecedented among non-Congress alliances, in the first-past-the-post system. While opinions may be fractured, the Parliamentary mandate is clear. In this context and in this spirit, it is also relevant for us to take the big picture view. Retail is a sector that touches the lives of virtually every citizen of this country on a daily basis. So anything that affects their lives and their aspirations have a direct bearing on the retail business as well. India’s citizens are creative and entrepreneurial. They are hungry for growth. While they are respectful of heritage, they are also devastated by the decline that has come about over decades, centuries, and are determined to change this situation. What they need is the government to shoulder its responsibilities. If there is one narrative that can pull diverse, divided strands of opinion together, it is “inclusive growth”. Throughout his campaign Narendra Modi has repeated the mantra: “Sabka Saath, Sabka Vikas” (literally “all together, development for all”). In recent weeks, on more than one occasion he has extended this to mean pulling together the efforts of leaders across the political spectrum as well. At the time of this writing, the Prime Minister elect Modi has already set out to manage expectations. He has positioned himself as “mazdoor (labourer) no. 1”, and is asking the electorate for 10-years, making it amply clear that there is no magic broom to remove the dirt of corruption overnight, nor a magic hand that will conjure out ever-increasing incomes out of bottomless magic pockets. 1. Healthcare: While India’s average life-expectancy has improved steadily since Independence it still hangs in the mid-60s while China’s and Brazil’s is over 73. India offers less than one bed for every thousand of its citizens, while both China and Brazil are well over 2. The United Kingdom, whose National Health Service is constantly lambasted as being “overstretched”, offers about 4 hospital beds per 1000 people, and the average for former British colonies is also around 4. Public healthcare infrastructure in India – from primary to speciality – remains critically under-funded, and the public hospitals that exist are chronically under-equipped and under-staffed. Where equipment exists, it is underutilised, as commission-seeking individuals refer patients to the burgeoning private clinics and hospitals. Over the last decade or so private healthcare providers have achieved prominence in the media and among investors, and concessional access to public infrastructure and assets such as land, but they have proved to be consistently out of reach of the general public. Livelihoods and family savings are routinely destroyed in the search for better-quality healthcare in the new, profit-maximising business models. Health should be every citizen’s fundamental right, as one of the foundation stones of a strong nation. It is a right that is denied daily to hundreds of millions. Providing health support is the core business of the government, and needs urgent attention and substantial investment dispersed nationally. 2. Power: India’s power consumption average is about one-third of the Chinese average and less than a tenth of the USA, and this is not only because Indians have smaller homes or live more frugally, but because hundreds of millions of Indians spend most of their days and nights without electricity. If you think you can get a sense of the deprivation from a household that gets power a few hours a day, you actually have to visit one where power availability has improved due to grid power or micro or off-grid availability through solar or biomass units – the enormous impact that the improved power availability has on the lifestyle, livelihood and quality of life can only be truly gauged then. Across the nation, private participation has been invited into the power sector at different times, but the execution has been mixed. Private companies would also like to serve those areas where population concentration and decent financials allow the private provider to create a profitable business. Large swathes of the Indian population lie outside of such areas, and the onus is upon the government to provide the required electricity for households to live a fuller life, for students to complete their lessons, for healthcare and administrative facilities to run effectively, for small entrepreneurs to be able to grow their businesses. 3. Clean water: Imagine one train crash every day of the year, each killing all passengers on board. Sounds catastrophic, doesn’t it? Wouldn’t that get some serious attention? Well, it is estimated that around 1600 deaths are caused every day by diarrhoea alone (higher than the train wreck fatalities), and that 21% of communicable diseases in India are related to unsafe water. The problem is not only in far flung villages, but acute even in the largest cities of the country. Both those numbers are shamefully high for a nation that wants to see itself as a global superpower. There are no technological gaps for effectively harnessing the existing water resources, and for maintaining cleaning, distribution and recovery systems – only management gaps. 4. Transportation infrastructure: While India has one of the largest rail networks in the world, at about 20 kilometres per 1,000 sq km of land area it compares unfavourably to highly industrialised European countries (Germany: 115 km per thousand sq. km., UK: 65, France: 53) or even the large less densely populated USA (26 km per thousand sq. km.). On road development India’s picture has improved in the last 15 years, but it still trails world-leading economies in terms of length as well as quality. Poor transportation systems cut people off from economic opportunities, and force them to migrate to already overloaded cities, perpetuating problems in both urban and rural areas. Historically, all strong nations, democratic or otherwise, have flourished due to extensive, superior transportation networks. Where people and goods can move quickly and freely, both trade and culture flourish, and build the strongest ties that bind people together. 5. Education: This is another area which has systematically been under-invested in by the government. From pre-schools to universities, the growth of educational institutions for the last 30-40 years has predominantly been in private hands, where affordability is not the prime driver. The number of seats in government-run institutions has not grown in proportion with the population, let alone in correlation with the demand. Access remains a problem, as does the quality. There is no reason why government-run educational institutions need to be bad – there are enough examples around the country within government schools and colleges, where organisational systems and individual intent produces excellence. Without immediate and adequate government focus on education, the massive young population of India will go waste, at worst it would be a ticking time-bomb of under-skilled frustrated underachievers. 6. Environment: This might seem like a strange inclusion in this “development-oriented” list. However, it is essential that the environment should be on a list of core items that the government needs to manage well. The government is usually in the news for either not doing enough (such as not monitoring the systematic encroachment in and destruction of the Aravalli Hills) or, at the other extreme, getting in the way by holding back environmental approvals to development projects. 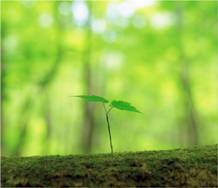 Another term for the environment is “the commons”, reflecting that the natural resources belong to the people, together. The commons need not just protection, but regeneration, resurgence. Defence and political experts around the world list climate change and clashes over natural resources as among the highest conflict risks in coming years, and the evidence is frequently visible. When “growth” is measured only by those activities that extract and deplete the common resources, support and encouragement is provided for those individuals and companies that do this the “best”. It is short-termism and selfishness of the worst sort. Evidence of large scale climate-related changes and the debilitating impact on civilisations exists around the world and across the span of history; the closest might be the Ganga-Saraswati civilisation that is said to have dispersed due to the depletion of one of its greatest rivers. We don’t even need to forecast huge impacts far into the future. Millions of Indians increasingly are born and live with chronic diseases that are related to deteriorating air quality, depleted water resources, polluted soils and disappearing vegetation. Indigenous natural species of plants and animals are declining, mostly invisible to the nation at large. A comprehensive, evolving framework is needed that goes beyond short-term planning and management by knee-jerk reactions. 7. Competition: This is an area which requires little investment, relative to the other items on this list, but a huge amount of intent and follow-through. No economic system is perfect and, indeed, it is the imperfections and discontinuities that provide business opportunities. When the imperfections are exploited by many, competitive forces balance each other out. The need to diversify is well-understood by people who care to think about risks. Concentration of efforts, resources, power behind a few initiatives or organisations can bring about disproportionately good results, but also creates the risk of wipeout. Diversity is a challenge because it creates fragmentation, but it is also an essential source of innovation, combating not just present risks but future threats as well. Self-moderation is too much to expect from even the most enlightened of large business leaders and even the most progressive of industries. Anti-competitive and customer protection frameworks have improved in recent years, but are still understaffed and underequipped. As the economy grows, so does the need to provide oversight against unethical behaviour by large organisations. 8. Accountability: None of the above can truly happen without transparency in governance, and productivity in public service i.e. respect for schedules, budgets and commitments. Measures such as Right to Information (RTI) have moved the country several steps up the transparency ladder, but accountability to “service deliverables” is still missing in a vast number of people employed in government departments. Entry into “government service” is seen as a ticket to a reasonably comfortable employment if you are inclined to not rock the boat. The idea is to not question the status quo as far as possible, and to ensure that the outcomes for the “overclass” are taken care of. This attitude needs to change. In fact a small start could be made by replacing the phrase “government service” with “public service” – the business of government is to serve the public at large, and this needs to be recognised and acknowledged by everyone involved in it. Efforts in all the other areas will fall flat if accountability and productivity are not embedded into the money and efforts invested. (Imagine if we could sign SLAs – service level agreements – with each and every individual hired for public service roles!) The roles that accountability brings with it include “upholding the law” and “enabling an environment where each citizen has a fair chance of success”. Someone else might come up with a slightly different list – this is mine, the seven pillars and the overarching beam. I’ve not listed the areas in any specific order of priority. Some of them need more government intervention, some need less private intervention, a few (such as education) need both. These are all areas that are the foundation on which everything else is built. These are the areas which, to a very large extent, determine the levels of dignity with which a country’s citizens lead their lives. In this day and age, the government is not needed to run steel mills, airlines or even handicraft retail stores. But without high quality and high availability ensured by the government in the above areas, even the most capable individual will find it easier to build a life and even the best private enterprise will find it more profitable to do business elsewhere in the world. The reasons above, my friend, are why and where we need government, because business is not delivering on these areas in an equitable manner, and these are areas where technology will not necessarily provide all the answers. We have years of evidence of this, in some cases decades, and it is time we choose to move. By and large, most people would rather choose to move something, than move somewhere (else). And the retail business will be one of the first to benefit. 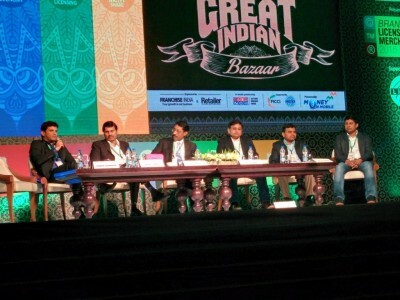 Amazon has beta-launched a consumer-facing business in India with its comparison shopping site Junglee.com. The company has been engaged with India as a support and development centre for several years now, and its traffic and business from India has also grown steadily ever since it started shipping products to the country. Given the critical mass that is now becoming visible in the Indian e-commerce market, it is logical for Amazon to look at a more direct customer-facing presence here. Its recent moves to set up a fulfillment centre and now the Junglee.com launch certainly look like precursors to a retail launch, whenever the government allows foreign investment multi-brand retail businesses. Junglee’s current business model is technically not a retail business since the actual transaction would happen on Amazon and websites of other retailers whose product listings it is aggregating. In the short term, Junglee could be a beneficial partner to existing e-commerce retailers, since Amazon’s robust technology and know-how would become available as a platform, and it would also provide an additional channel for customer traffic. However, with time, Junglee could well become a sizeable competitor for primary traffic which otherwise would have landed directly on the retailers’ own websites. 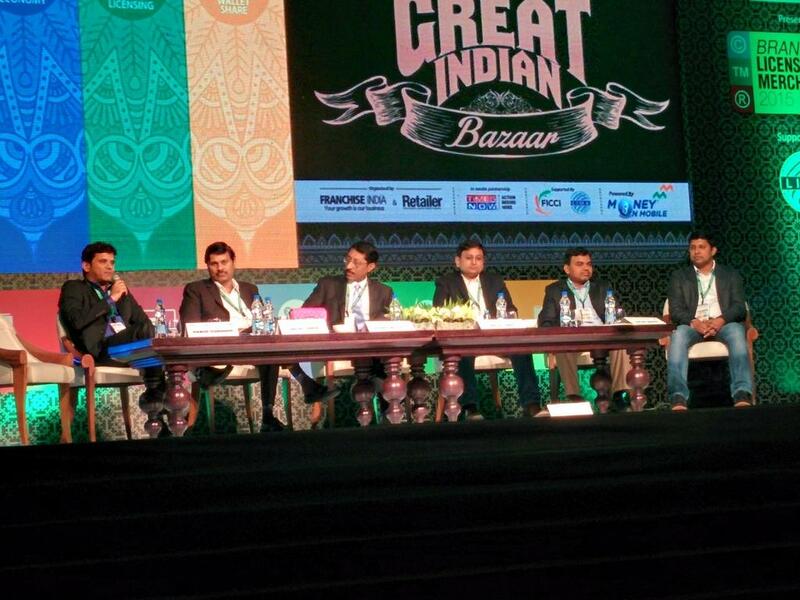 Smaller e-tailers who sign up with Junglee may also find it harder to break away into an independent presence. The benefit to Amazon, of course, is developing the customer base for a future Amazon-India site, and achieving much deeper insights on customer shopping behavior in India than it possibly gets from the Indian customers transacting on Amazon’s non-Indian websites. With time, and as Amazon takes a deeper plunge into the market, Indian customers who have enjoyed the Amazon experience remotely can certainly look forward to a wider choice of products at lower costs and with quicker deliveries. Facebook: Log In or Out? Retailwire raised a pertinent question recently about social media and marketing. In marketing as in life, it is all about timing. The question was whether retailers and brands should be concerned that they are moving to Facebook at a time when large numbers of teenagers are abandoning it? I believe it’s horses for courses. Marketers of teen brands should definitely be concerned about teens exiting or reducing their usage of Facebook, as they have done with other social platforms in the past. However, there are plenty of others for whom the Facebook audience is apparently becoming more relevant than ever. Facebook reports 400+ million users as of February. According to them, 50% of the active users login on any given day. That’s impressive stickiness. Having said that, I’d like also to take a different look at those stats. Demographics and physically addressable market aside, the question is what proportion of your potential customers are receptive to the brand in that environment. Neither is the Facebook user’s primary purpose brand loyalty or looking at marketing messages. The average Facebook user has enough to keep him/her busy or distracted, without getting on to a brand’s page. That video of a mother with laughing quadruplets is far more likely to get viewed and shared than any of your marketing messages. If your brand isn’t interesting, engaging, and open, you can’t have the conversations that a platform like Facebook facilitates. If there’s no on-going conversation, your chief Facebook officer is wasting the company’s time, money and internet bandwidth. Logout. Now. The entire discussion on Retailwire is here: ”Marketers Move to Facebook As Teens Move Away“ (needs a free sign-up). I’ve read Joseph Jaffe’s book across multiple air journeys, nationally and internationally. I agreed with the principles described and saw parallels with excellent services businesses over the past few years. However, the implications didn’t quite strike me in the gut until I realised – while writing this on board an aircraft – that the journeys I had taken with this book had also been with just one airline. My loyalty to this airline is not because of the mileage card I hold, although their mileage programme is certainly among the best in the world. It is not because they were the cheapest or the most on-time, though they compete favourably with other comparable airlines. My loyalty to them is because of what they did during the Mumbai floods in July 2005. Those who remember the chaos, through personal experience or through media, wouldn’t blame airline staff for abandoning their counters, and leaving the airport to try and reach home as early as they could. Certainly most of them must have felt helpless in the face of increasingly desperate passengers who couldn’t expect to depart any time soon. Jet Airways stood out as being the only one in Mumbai’s Terminal 1-B whose team felt responsible enough to stay back at the airport to be available to the passengers. Not only did they ensure that the passengers stuck in the terminal were safe, but that all waiting passengers got three meals a day! Whether or not they were flying with Jet Airways. Now, in telling you about incident, I have closed the loop and given you a living example of the “flipped funnel” that Jaffe describes in the book. The normal marketing funnel is described by the process Awareness, Interest, Desire and Action (or “AIDA”) which underlies the spray-and-pray approach of traditional marketing. The result of AIDA is that a lot of customers become aware of a business, brand or product. Some are interested enough to seek out the product. However the number who move on to the next stage of actually expressing desire to buy is lower, and those who actually buy are fewer still, as amply demonstrated by carts being abandoned before actually checking out. Jaffe points out that the AIDA principle was created in times of abundant growth in the US, but is a suicidal funnel to fall into when resources are scarce. It is lopsided, with more money being spent on customers who will not buy. It is linear and does not capture the complexity of buying behaviour. It is open and incomplete because it only handles potential customers up to the point where they become actual customers, but does nothing with them thereafter. AIDA also inherently assumes customer churn, hence the opening focus on creating awareness among potentially new customers. The alternative principles Jaffe describes are simple: getting more customers to buy from us and more often (repeat purchases), to spend increasing amounts with us (loyalty), and finally, to recommend us to their friends and associates (referrals). However, to do this requires dramatically different thinking from AIDA spray-and-pray. Jaffe’s alternative model – ADIA (Acknowledgment, Dialogue, Incentivisation and Activation) – focuses on customers more than prospects. Acknowledging customers itself is such a major stumbling block for so many companies, such as the retailer whose front-line staff would prefer to fold and put away garments than meeting the eyes of the customer who has walked into the store. In some cases it may be about using technology effectively rather than as a barrier. When the taxi company can recognise the number you are calling from and close your order in less than 120 seconds, why does the telephone company that issued that number make you jump through burning hoops for 5-10 minutes before they will allow you to request a duplicate bill? That acknowledgement should lead to an on-going dialogue, before, through and well after the purchase is done. This would be supported by constant incentives for the customer to buy more from you. It is not about having a loyalty programme, as Jaffe quotes studies that demonstrate that loyalty programmes alone don’t produce loyalty; in fact there are enough businesses that do not run loyalty schemes but have what can only be called fan followings. The final link in that funnel is building that community of evangelist enthusiasts who will carry your brand message farther and far more effectively than any traditional form of marketing could. Religious organisations have known this for thousands of years – it is high time that businesses and other organisations recognised the power of the community as well. 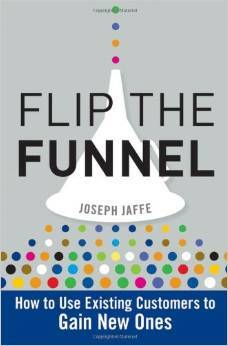 Jaffe acknowledges that Seth Godin actually came up with the term “flipping the funnel” over 3 years ago, when he released the e-book of that name (available on sethgodin.typepad.com) primarily about using social media effectively. Jaffe, to his credit, has applied the principles more fully across the marketing and customer service process. Jaffe recently sold his business, crayon, but has kept his title “Chief Interruptor” at the acquiring company. If you want to make your marketing really pay, you’ll find it worthwhile letting “Flip the Funnel” interrupt your normal marketing thought-process.